Come and experience an event of a lifetime at the Ulster Bank #BankOfAPIs Hackathon! 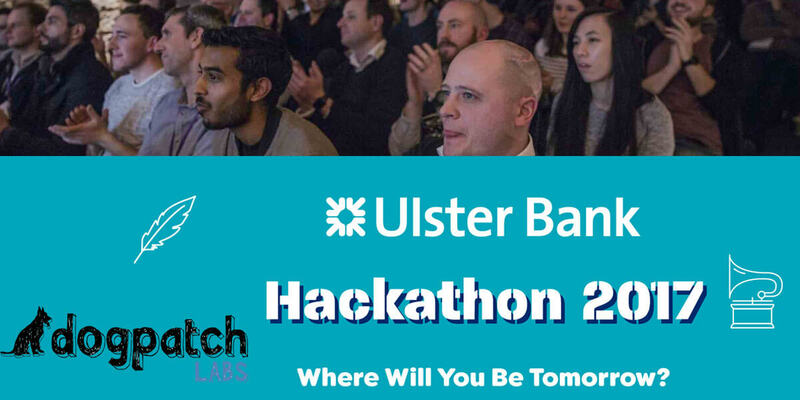 Ulster Bank is excited to announce its annual Hackathon, in partnership with Dogpatch Labs. Spend 48 intense hours collaborating in a team of coders, designers, entrepreneurs and business people to create a working prototype to showcase. Come with a cool idea and watch it come to life within a short span of time. The brief is to deliver innovative solutions around themes of financial services to enable ‘open banking’. Open banking is the vision that banks are transforming from relatively closed IT structures to structures that are more ‘open’, connected and better able to communicate with each other. This will lead to improved levels of service by enriching the banks capability with a whole range of targeted niche solutions in addition to broader personal financial management capability.